National “I Love Horses” Day! Imagine our excitement when we realized that today is National “I Love Horses” Day! While we have been horse owners for a year and a half now, we have been horse lovers since we were children. I remember longing for a little pony of my very own when I was just a little girl. My parents were not able to afford a horse, and so my dream did not become a reality until my early 40s. With such a passion for these gigantic, yet magnificent creatures, our hearts were thrilled as we worked hard around our house putting up fencing, getting troughs, salt blocks, and building a shelter preparing to bring these gentle giants home! After begging and pleading with my husband, as we surely had enough land to accommodate horses, he finally said, “Yes!” And … I took off with it! 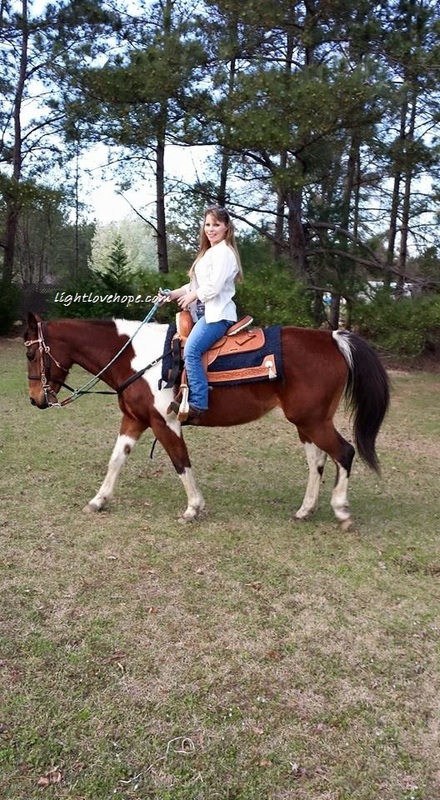 I set out to find THE perfect horse for us … and purchased three in one weekend. 🙂 Yes … I … Did!! I ran with it because I did not want my husband to have an opportunity to back out of this one. My dream was finally becoming a reality! The three horses turned into five horses over the course of these 18 months, and we couldn’t be happier. 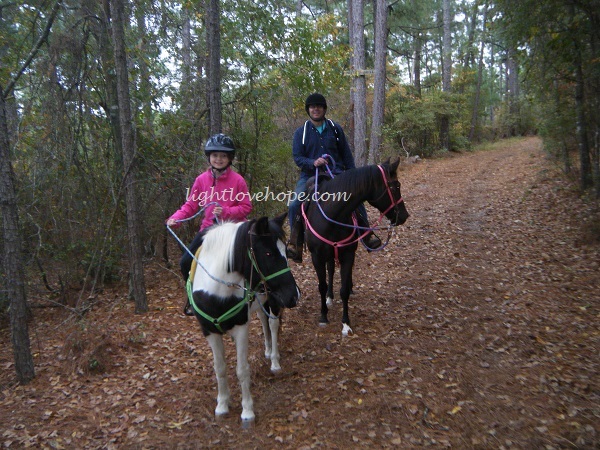 My 10 year old daughter has horse fever as well, and she rides with us on the trails. 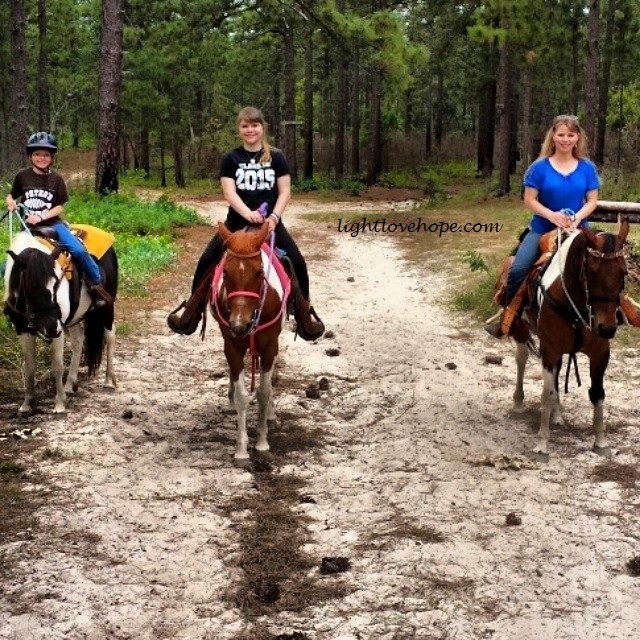 We love that we share this passion for the horses together as a family. My 18 year old daughter was interested in the horses for a short while. Then her interest turned to boys, music, and bands. 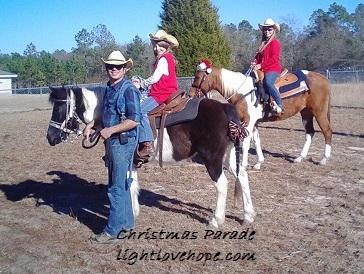 It is our hope, though, that our youngest daughter will keep this passion alive within her heart for her horses and will be committed to this lifestyle. It really and truly is a way of life now. It isn’t a phase we’re going through. We are in this for the long haul. We understand that horses can live to be 30 years old, and we’re praying that we’ll be here to grow old with them. 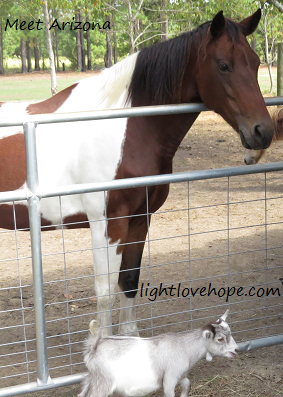 Then, when we are old and gray, we will still go out to the barn to love on our beloved horses. These horses are more than just a hobby that never stops eating, as we’ve heard them called before. They bring us so much joy and happiness. Honestly, if I’m having a bad day, all I have to do is walk to the barn, grab a lead rope and halter, open the gate, and bring my beloved horse out to join me for a grooming session. With every stroke of the brush over their mane, looking into there dark eyes, feeling the soft velvet muzzle, and whispering my cares into their big ears … my cares seem to fade away as the stress leaves my body. These horses are more like therapists and counselors. Without saying a single word, they are there, ever present, offering their love. Horses are so calming and soothing as well. I can go outside to work with the horses and come back inside tired but feeling like the weight of the world has been lifted off of my shoulders. In all my life, I never thought I’d say that I do not mind the smell of horse manure. It does not gross me out to see it or smell it, and I’m not embarrassed when my horse has to stop right there in the middle of the trail to do it either. 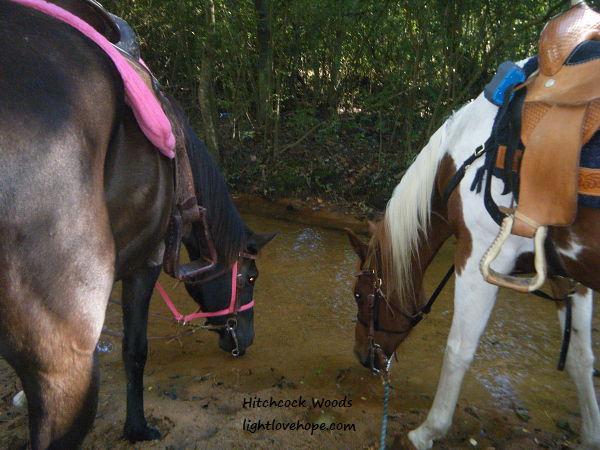 It comes along with horse ownership, and I proudly clean up after my horse and pause for “poopy breaks” out on the trails as my daughter and I like to call them when the horses stop without warning on the trail to relieve themselves. We are blessed to have these beautiful creatures as part of our family now. For all you horse lovers out there, Happy National “I Love Horses” Day! For those that haven’t had the pleasure of experiencing being on the back of a horse, I encourage you to consider it in the near future. 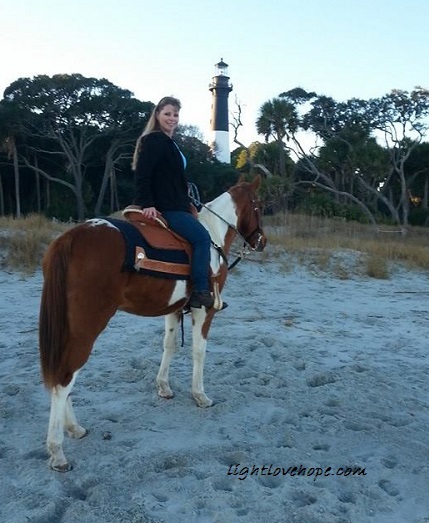 There is something so exciting and exhilarating about getting on the back of a horse. You are trusting these massive creatures literally with your life, and they respect and honor you in return. It truly is a partnership with your horse. Any time you get on the horse, you become a team. You are bonded as one, and you work together to accomplish things out on the trail, at a horse show, or even at a jumping event. 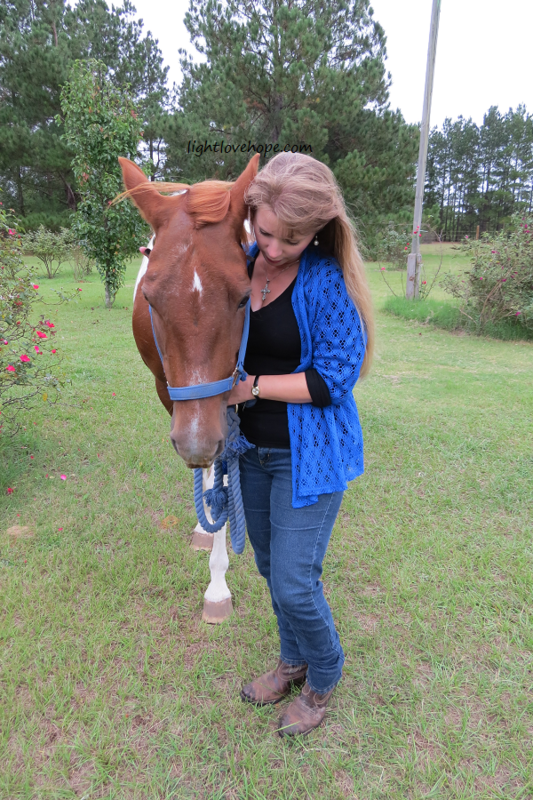 You have to have a connection with your horse, and once you do, once you develop this bond … there is no breaking it and no turning back. You will never be sorry to have given your heart to a horse. Even on days when I don’t feel like working them, as we have given them a break in this 100 degree weather this past week, you still go out to the barn to bond with them. 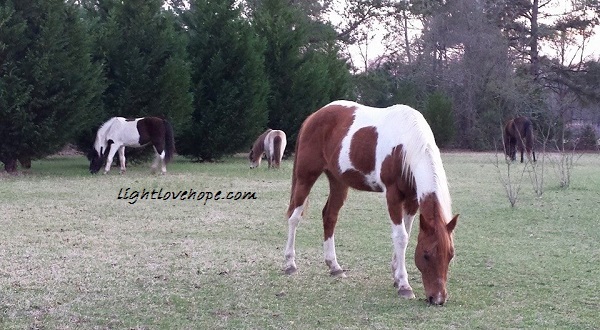 We spend time with the horses, from sitting out in the middle of the pasture with them as they are busy grazing on all the available grass they can find, or giving them a cool bath in the hot Summertime heat and heaviness of the Southern humidity. You will make any excuse to be with your horse, even if all you do is give extra hay or apple horse treats, which are their favorite, by the way! 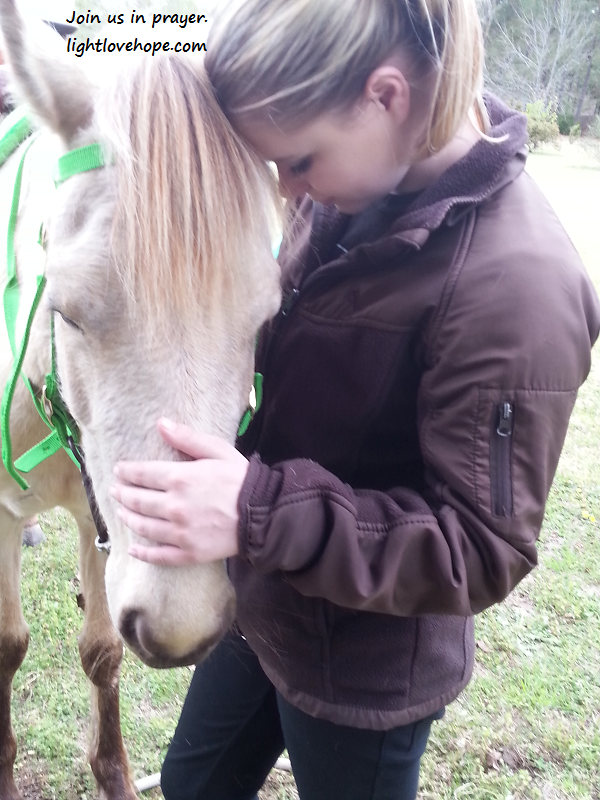 The more time you spend with the horses, the more you are cementing the bond you share. Here’s to horse lovers every where! And … to future ones in the making right this minute. Reach for the stars, and live your dream!